"All I want is what's best for your family." 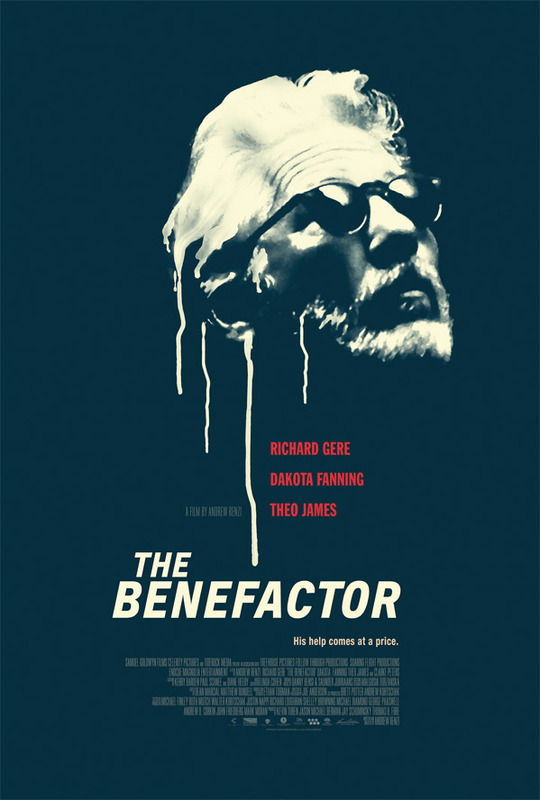 Samuel Goldwyn Films has released the trailer for a film called The Benefactor, formerly known as Franny when it premiered at the Tribeca Film Festival this year. It stars veteran actor Richard Gere as an eccentric rich man who meddles with the life of a deceased friend's young daughter, played by Dakota Fanning, and her new husband, played by Theo James. It looks like there's some very mysterious things going on with Gere's character that we don't all see, but I'm curious for that reason - to find out what is happening and who he really is. The performances in this look impressive. Description from Tribeca: "Richard Gere delivers a bravura performance as the title character, a rich eccentric man who worms his way into the lives of a deceased friend's young daughter (Dakota Fanning) and her new husband (Theo James). Writer-director Andrew Renzi's narrative feature debut Franny is a warm and winsome story that explores the pangs of the past and reflects on what it is to be family." The Benefactor is both written and directed by newcomer Andrew Renzi, of Fishtail and The Fort previously. The film premiered at the 2015 Tribeca Film Festival under the name Franny before being changed to The Benefactor. The film opens in theaters + on VOD starting January 15th, 2016 early next year. Interested? Woah. This looks pretty good. Riding that fine line in between drama and melodrama. Looks good. I'm not a fan of any of these actors but it seems like a good fit and the plot is interesting too. I'll give it a try! Wow the CG for making Dakota Fanning look pregnant was spot on. Amazing to think a couple years ago, this stuff looked fake as crap. Should have probably done the same thing for the baby in the movie, American Sniper.